Elder, Overseer, and Shepherd: One and the Same Office? Do the titles elder, overseer, and shepherd refer to one and the same office? The answer is yes, and a brief survey of a few NT passages will provide ample evidence for such a conclusion. The basic thesis of this article is that the overlap of terminology from one title to the next in a number of texts clearly shows the offices of elder, overseer, and shepherd to be one and the same. Paul clearly equates elders with overseers in Titus 1:5, 7. Paul tells Titus, “This is why I left you in Crete,” namely, to “appoint elders [presbuteros] in every town” (Titus 1:5). Immediately after telling Titus to appoint elders, Paul then gives some initial qualifications for elders (Titus 1:6) and then gives his reason for doing so: “For an overseer [episkopos], as God’s steward, must be above reproach” (Titus 1:7). The equation of elders with overseers is seen again in Acts 20:17, 28. Luke records that Paul “sent to Ephesus and called the elders [presbuteros] of the church to come to him” (Acts 20:17). In addressing these elders, Paul stated to them that “the Holy Spirit has made you overseers [episkopos]” (Acts 20:28). To quote Acts 20:28 again, Paul reminded the Ephesian elders that the Holy Spirit had “made them overseers [episkopos], to care for the church of God.” The infinitive “to care” is literally rendered “to shepherd” (poimainō). Paul saw shepherding as the primary role of elders who the Spirit had appointed to be overseers. What is helpful to notice at this point is that Acts 20:17, 28 uses some form of all three terms to refer to the same office: elders were appointed overseers to shepherd. Peter likewise exhorted “the elders [presbuteros] among you” (1 Peter 5:1) to “shepherd [poimainō] the flock of God” (1 Peter 5:2) and to do so by “exercising oversight.” The participle “exercising oversight” (episkopeō) is the verbal cognate of the noun “overseer” (episkopos) and is subordinate to Peter’s imperative to shepherd (“shepherd the flock of God, exercising oversight”). Though Peter does not identify elders as overseers, he does tell them to shepherd by exercising oversight. It seems fair to conclude that Peter would say that those who exercise oversight could be called overseers who, in this case, are elders. Similar to Acts 20:17, 28, Peter uses some form of all three terms to refer to the same office in 1 Peter 5:1–2: elders were to shepherd by exercising oversight. Another helpful text in identifying overseers as shepherds is 1 Peter 2:25. 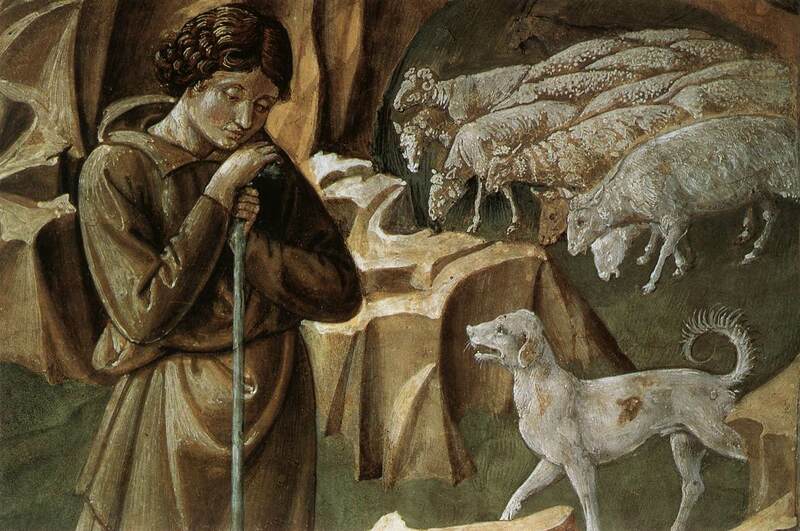 Peter refers to Christ as “the Shepherd [poimēn] and Overseer [episkopos] of your souls.” Though Peter was not speaking of shepherds and overseers in general, the overlap in terminology with reference to Christ has bearing upon how this terminology is used for shepherds and overseers in general. If Christ is both Overseer and Shepherd, it is easy to infer that overseers and shepherds in general are one and the same as well. The overlap in terminology in Acts 20:17, 28 and 1 Peter 5:1–2 makes this conclusion all the more certain. With this being my first article on this site, let me say thank you to Scott Aniol for his gracious invitation to regularly write for Religious Affections Ministries. I simply hope to echo the Scriptures in order to be a help to any and all who read. I pastor First Baptist Church in Rockford, IL, and I am an Applied Theology Ph. D. student at Southeastern Baptist Theological Seminary (graduating this May, assuming all goes well with my dissertation defense). My concentration is in Christian Leadership, so my contributions will be primarily limited to pastoral and practical theology. 7 Responses to Elder, Overseer, and Shepherd: One and the Same Office? # are elders the senior version of deacons? Are we talking, then, about young servants called deacons and more experienced Christians who can aspire to the office of an elder? # what about the other offices mentioned in 1.Cr 12 and Eph 4? For example, Peter said he was an elder (1.Pet 5:1). Shall we then see these functions as part of the office of an elder in the sense that ‘some are apostles, some are teachers’ etc but all these are elders? # I would not equate the offices of elder and deacon. If overseers and elders are one and the same, then 1 Tim 3:1, 8 makes a clear distinction between elder/overseer and deacon. Granted, in the course of an individual’s life, a deacon may come to realize he is able to teach and govern the church beyond his designated sphere of ministry and thus become an elder, but the offices are distinct. Phil 1:1 clearly distinguishes the offices as well. # The apostles clearly had pastoral functions within the early church. Peter was to tend and feed the flock of God (John 21:15-17) and could thus call himself a fellow-elder. John titled himself as “the elder” as well (2 John 1; 3 John 1). I think it would be reading it the wrong direction to infer that these similarities mean elders hold some type of apostolic function. As to teaching, my understanding of elders is that they must be able to teach (1 Tim 3:2), but just because someone is able to teach does not mean he is also able to oversee a church. To clarify, if someone is an elder and is able to oversee a church, he must certainly be able to teach as well. # Would you agree there are essentially TWO offices = the more junior deacon and the senior ‘elder’? # When it comes to the various functions in church, such as teacher, helper, administrator, evangelist: based on the fact that apostles called themselves elders and that elders must be apt to tech (i.e. they are also teachers), would you then agree that the above were selected from among the elders of a church, according to their various abilities? The latter means that all these functions are at the same level of authority (all are elders), yet Paul also ranks them in 1.Cor 12 and also in Eph 4. Yet, it seems to support the presbyterian system where instead of one pastor who ‘rules’ the church, there is a group of elders with various abilities to lead the church. Would you agree? # I think I am still unclear as to what you mean by “junior deacon.” Is this a deacon or some type of elder? # Just to make sure I understand you – you are saying that, in a group of elders, some teach, some rule, some are evangelists, etc., but all are equal in the fact that they are elders – correct? # Yes. This would mean there are only two ‘ranks’, i.e. elder and deacon, although there would also be church members who are neither. Of course we are all equals anyways, since the Bible tells us to esteem each other highly and submit to each other. Yet, we are also told to honor elders especially. If this is so, we would have these two offices and then several functions drawn from among these officers: one might be governing, one might be teaching, one might be more involved in pastoral office (counseling etc.). Yet, none could say to be more prominent than any other (1.Cr 12), since all are needed in the body (even though some might seem more important than others). # I see. I would certainly agree that there are only two offices, deacons and elders. Deacons do not exercise authority and are not required to teach (cf. 1 Tim 3:8-13). However, if they are, become, or realize they are capable of doing so, they could certainly become elders. Thanks David. Looking forward to the continuation of this thread! No difference on the second point; I didn’t mean to imply elders should take on more than one function, just that all those functions will be taken on by an elder. Singularity of leadership… I guess it’s natural that in any organization, someone will lead. The question remains as to what such leadership entails, whether it should be for life, how such leadership could be questioned, and notably, which decisions are to be made by leaders, the eldership, and the whole church. Kevin wrote a few interesting bits on those already – keep it up; this is a very crucial topic.